Academia can seem pretty tough-going at times. In a field where everyone is striving to publish the most papers and get the most funding, but where most people are limited by time and opportunities, things can get a bit competitive. So acknowledging your weaknesses just is not done, especially weaknesses connected to your work. But in order to turn those weaknesses into strengths, you have to know where to start! So to that end, here are some of my New Year’s resolutions to work on over the next few months. Obviously there are so many more things I can improve upon (eat healthily, call home more, go to the gym, break up with Facebook). So these five are focused primarily on balancing PhD life. Good research requires a good knowledge of the subject, and this can only be achieved by searching the literature and reading,reading, reading! But the problem with sitting reading papers at your desk all day is that you don’t have any solid outcome to show for it at the end of the day (apart from maybe eye strain and a headache). I struggle with this lack of physical result, as it sometimes makes me feel like I’ve not been very productive by ‘just’ reading papers. So something I aim to work on next year is to set aside time each week specifically for reading and updating Endnote. To make it seem more productive, I’ll work on my note-taking skills – this will have the double benefit of making me feel like I’ve achieved something whilst also giving me some good quick-reference material for later. 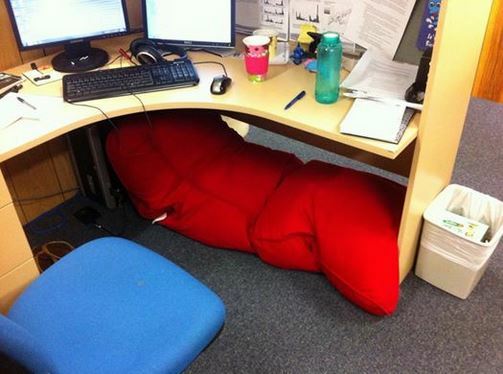 First step to getting more sleep – bean bag nap area under desk. Win! Chronic sleep deprivation is not going to help you achieve anything. Yes, you might have to pull some late-nighters to get that grant application in, or get up at ridiculous o’clock to reach your field site. But that doesn’t mean that you have to sacrifice sleep to do so. It is okay to sleep in a bit later if you had to work late. It is okay to be a granny and head to bed early if you’re up at day-break. Need a power nap mid-avro? Go for it! If you’re up to date on sleep you will work a hell of a lot more effectively than someone holding their eyes open and forcing every sentence into Word. I’m aiming to be a lot stricter (and realistic) with sleep patterns, especially as I tend to get migraines after missing a few sleeps in a row – which knocks me out for a lot longer than a lie-in would. The must-have on every academics to-do list: Publish more papers! There is a strong idea of “publish or perish”, and while this might be a bit dramatic it is probably true that you will have a better chance of succeeding with scholarships, job applications and grant funding if you can add up points in the ‘papers published’ box. When I ask Post-Docs if they have any advice for an early-days PhD student, the recurring comment is to get multiple papers out during the PhD. I just got around to publishing my honours thesis on bottlenose dolphin aggression this year, have a co-authored paper on whale acoustics in review, and still have material from my masters on grey seal behaviour which needs to be put into paper format. So a big aim for next year is to finish that task, as well as publish something PhD-related. Smartphones are amazing. I use mine for work a lot – especially during field work, it is very useful to be able to check emails on the go and arrange meetings without being tied to a desk. But is there really a need for checking work emails every evening? If you’re always online then you are always on duty. Not conducive to the increase in sleep or quality time that most people would like in their lives. A lot of the time I don’t mean to do this, but as I use my phone to tell the time I often see notifications about missed calls or unread emails and get sucked back into work mode without really realising it. So the most obvious way around this would be to start wearing a watch more so I can give myself the opportunity to forget about the phone. I’m also going to enforce a stricter ‘silent mode’ rule during quality time with boyfriend and mates in the evenings. Feel free to give me in trouble if you see me violating this one, because it’s bound to happen! 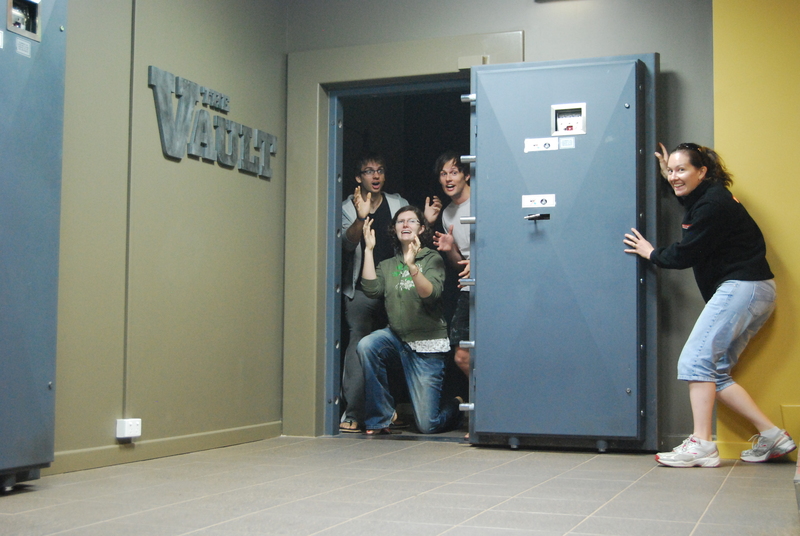 As much as you may love your office mates, it’s still important to step outside of the circle once in a while. Because inevitably the conversation will at some point touch on work – be it project stress, supervisor management, paper writing, or “Did you hear about this grant?” type topics. Sometimes it’s good to forget about work for a while! This entry was posted in Personal, PhD Life on January 25, 2014 by Sarah Marley.